I have finalized my raised garden bed layouts for this spring/summer. I have roughly 72 square feet to work with, and I’ve packed it full of herbs, veggies, and companion flowers. So far the following are already in the garden: oregano, parsley, thyme, chives, dill, lavender, one square of onions, kale, oakleaf lettuce, Salanova butter lettuce, most of the carrots, both varieties of radishes, spinach (which isn’t doing to well), salmon mousse nasturtium, arugula, and the garlic. When I plan the layouts for my vegetable gardens, I refer to my notes as to which plants you should not plant together, such as green beans and peppers. I also try to place some companion flowers near plants that have issues. 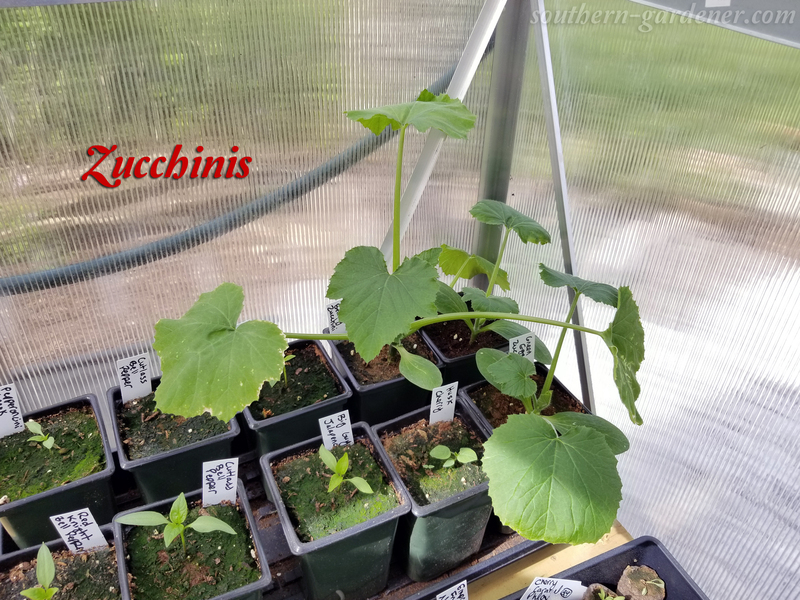 I have read that marigolds deter cucumber beetles, and nasturtiums deter aphids, beetles, and bugs, so I have placed those 2 flowers near the cucumbers. We’ll see if they actually help this summer. I just planted the garlic about a week ago and don’t really plant it to harvest the garlic, especially since this is late to be planting garlic. I actually like to use it as a naturally anti-fungal to help with bad fungi in the dirt. 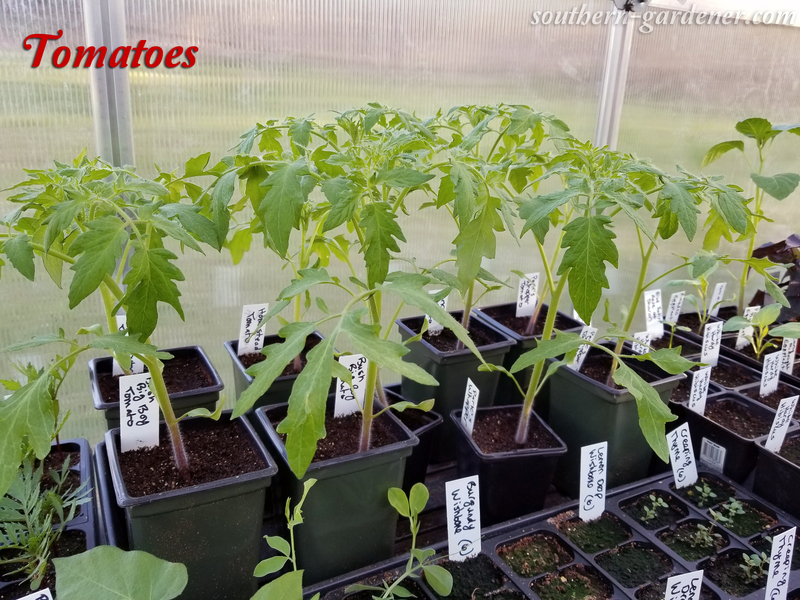 I feel I’ve lost a lot of tomato plants in the past to one of the bad fungi (like fusarium wilt or verticillium wilt), so along with purchasing tomato varieties that are supposed to be resistant to those fungi, I also plant garlic around my tomato plants in hopes of further helping them. This is the first year I’m doing this, so we’ll see how it turns out. Once the danger of frost passes, I will be moving all of my other veggie plants into the garden from my greenhouse. Tonight’s low is 32º F. 🙁 We’ve had such nice 80-degree days lately, and now we’re back to winter weather tonight. The weather needs to make up its mind soon because my tomato plants and zucchini plants are getting out of control and need to go in the garden soon! What are you planting in the garden this year? 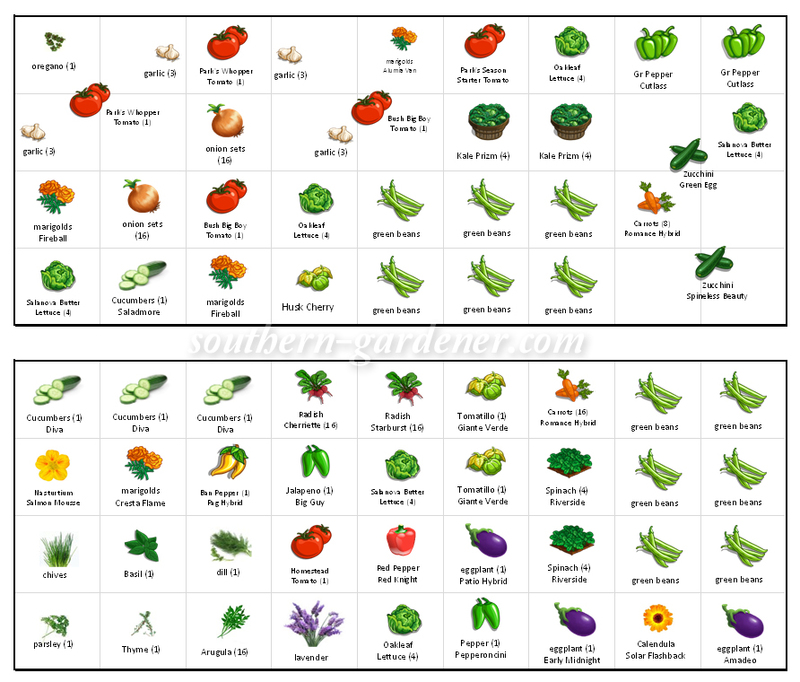 Posted in Garden Layouts, Raised Garden Beds and tagged garden layouts, vegetable garden.